I’ve been doing a lot of book shopping here in Moscow. Most of the libraries and archives I work in have little lavki of mostly academic books. I have to say that there are some interesting things being published here. What has caught my eye is the sheer number of translations of post-structuralist philosophy. The works of Jacques Derrida, Alain Badiou, Michel Foucault, Gilles Deleuze are filling bookstores philosophy sections. There are also some interesting historical works being published. I was happy to find Igor’ Navskii’s brilliant study of the Russian Civil War, Zhizn v katastrofe: Budni naseleniia Urala v 1917-1922 (Life in Catastrophe: Everyday Life in the Urals, 1917-1920), at a ROSSPEN store for only 99 rubles as well as the second volume of Sovetskaya derevnia glazami VChK-OGPU-NKVD dokumenty i materialy, 1923-1929 (The Soviet Countryside through the eyes of the Cheka, GPU and NKVD documents and materials, 1923-1929). There are also an increasing number of studies, memoirs, and document collections on the Gulag, Spetspereselenie or “Special Resettlements,” etc. These are also common subjects now being researched and published. 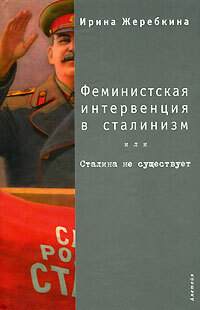 What is even more intriguing are books like Irina Zherebkina’s Feministskaia interventsiia v stalinizm ili Stalina ne sushchestvuet (A Feminist Intervention in Stalinism or Stalin does not Exist). The author of the acclaimed Strast’: Zhenskoe telo i zhenskaia seksual’nost’ v Rossii (Passion: The Female Body and Female Sexuality in Russia), Zherebkina makes a gender and Lacanian analysis of Stalinist Russia. Influenced by the works of Slavoj Zizek, Zherebkina seeks to deploy “Alenka Zupanchich’s methodology of the “ethics of the Real” as a theory of ethical choice in the analysis of totalitarian eroticism, especially the gendered structure of subjectivity” (7). Another interesting find was Nataliia Lebina’s Entsiklopediia banal’nostei: Sovetskaia povsednevnost’: kontury, simvoly, znaki (Encyclopedia of Banality: Soviet Everyday Life: Contours, Symbols, Signs). This is a great book of short entries on the small, not to mention forgotten tokens of Soviet life. Inside you can find entries on things like stiliaga, the postwar youth subculture, Eseninshchina, the 1920s hysteria about suicides inspired by the poetry of Sergei Esenin, and babetta, which was a woman who dressed and did her hair like Brigit Bardot in the late 1950s and early 60s. Lastly is Il’ia Utekhin’s Ocherki Kommunal’nogo byta (Study of Communal Life). How Soviet citizens live, regulated, and ordered communal space in kommunalki is a fascinating subject. We often forget that the Soviet experiment was more than just changing the economic and social structure of Russian life; it was also about the restructuring of how people interacted with space. The communal apartment was both practical and revolutionary. The crisis of housing required many families to share apartments; while at the same time also trying to create unalienated living space. Utekhin’s text tries to capture what life was like in these living spaces and how residents negotiated its many compromises and conflicts.